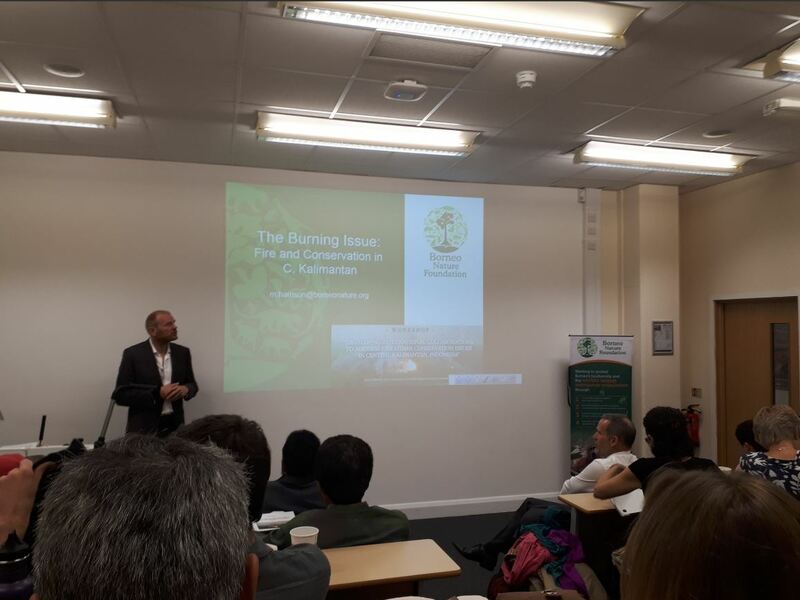 The Borneo Nature Foundation and University of Exeter brought together over 30 scientists and Indonesian government representatives, to discuss challenges and opportunities relating to fire and other conservation issues in Central Kalimantan, Indonesian Borneo. Wild fire is a crucial conservation concern in Kalimantan, especially during dry years, such as 2015. In that year, it is estimated that over 50,000 fire hotspots occurred in the province, burning over 22,000 km2 of land in Kalimantan: an area six times the size of Cornwall. Reports suggest that short-term exposure to the toxic haze produced from these fires may have led to 11,880 premature mortalities in Equatorial Asia. Delegates attending the meeting included representatives of the Indonesian Peat Restoration Agency, Natural Resources Conservation Agency and Sebangau National Park, who were accompanied by scientists from six European universities, plus the University of Palangka Raya and University Muhammadiyah Palangka Raya in Central Kalimantan. Borneo Nature Foundation Co-Director, Dr Mark Harrison, explains “Central Kalimantan’s forests and peatlands provide huge benefits in terms of biodiversity conservation, greenhouse gas emission reductions, fire and flood prevention, maintaining air and water quality, and supporting local livelihoods. This includes being home to many threatened species, such as the critically endangered Borneo orangutan, which is suffering rapid population declines across its range and for which Central Kalimantan’s forests are a crucial stronghold. 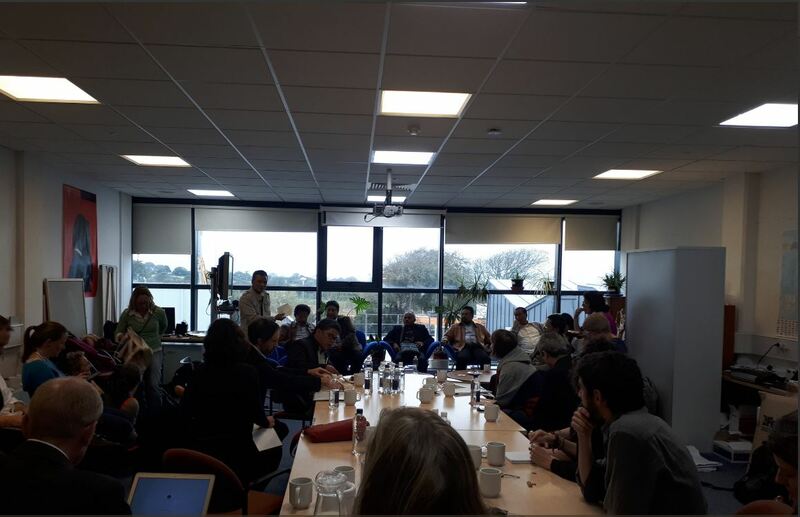 At the two-day meeting, which was held at the University of Exeter’s Penryn Campus in Cornwall, delegates described advances in understanding of ecological, physical and social issues related to fire, forest and biodiversity conservation in Central Kalimantan. “If we are to effectively conserve Kalimantan’s forests and peatlands, it is vital that we both make use of the best available scientific expertise and work towards developing this expertise within Indonesian institutions” said Dr Frank van Veen of the University of Exeter, who hosted the meeting. Together with representatives from Borneo Nature Foundation, the workshop’s ten Indonesian delegates also visited the Embassy of the Republic of Indonesia in London. Here, they met the Ambassador to the UK, Deputy Chief of Mission and Minister Counsellor of Economic Affairs, to outline the conservation challenges we are attempting to address together and the opportunities we aim to create through our collaborations. Previous illustrative media reports on the severity and impacts of Indonesia’s forest fires in 2015 are available here and here. Fire hotspot data from 2015 and other years are available from MODIS satellites through the Global Forest Watch website and are also reported by Miettinen et al. (2017) in the journal Environmental Management. Estimates for the number of premature mortalities among people in the region arising from short-term haze exposure are provided by Crippa et al. (2016), as reported in the journal Scientific Reports.